The palette... I find it hard not love the rows of shadows in varying shades, textures, and finishes. But (you knew there was a but, didn't you?) I tend to be a bit leary of 'value' palettes. You know the type, Palettes with a bit of everything- shadows, blush, liners, gloss...- and an unusually low price. The kind that tend to pop up around the holidays. Sometimes they can be great, a diamond in the rough, but all too often they disappoint. 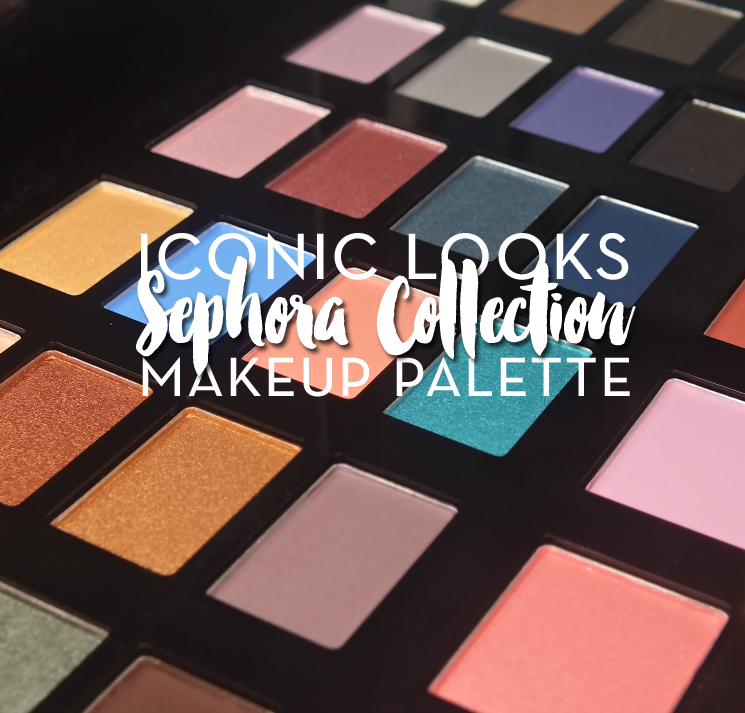 That said, I didn't know what to expect from the Sephora Collection Iconic Looks Makeup Palette. Curious? Read on! 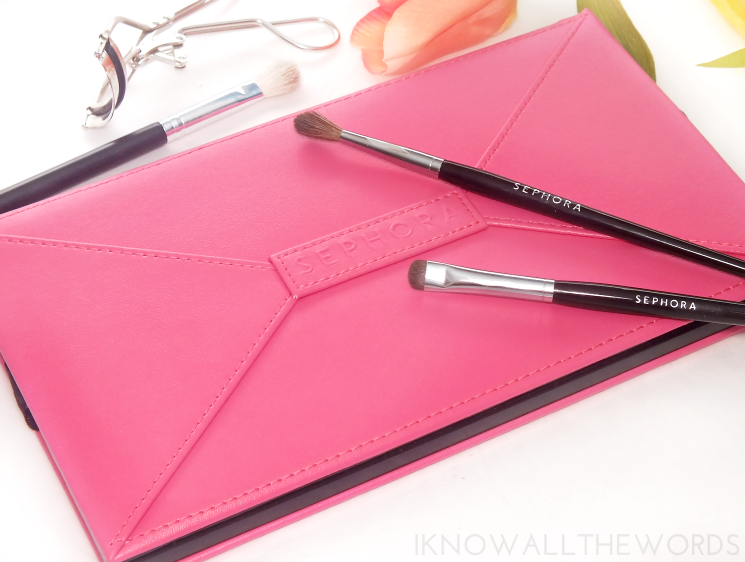 The Sephora Collection Iconic Looks Makeup Palette is clad in a bright pink, faux leather exterior, mean to mimic the look of a clutch. 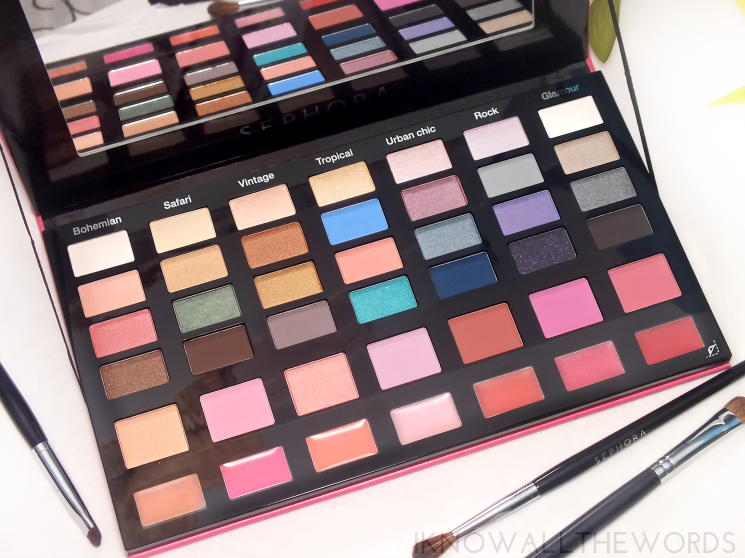 The palette is thin, but fairly sizable, as it is home to 28 shadows, 7 blushes, and 7 glosses (and a large mirror.) The theme of the palette, iconic looks, is represented by the seven columns, each designed to create a specific look- Bohemian, Safari, Vintage, Tropical, Urban Chic, Rock, and Glamour. The blushes, like the shadows, have a variety of textures with mattes, shimmers, and satins being present. 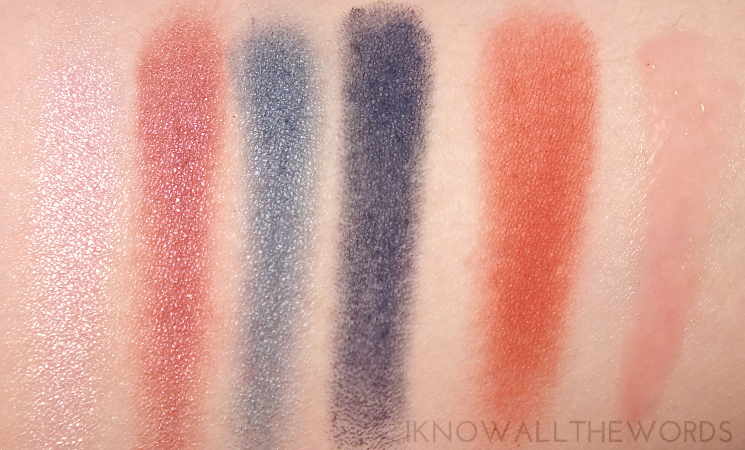 Some of the blushes feel drier when swatched, but all apply pretty well on skin. The lighter shades need to be built up, but still provide enough pigment to be seen on light through to medium-deep skin. As for the glosses, I'm not a fan of them in palettes, but these do have a really nice texture that is completely free of any stickiness. 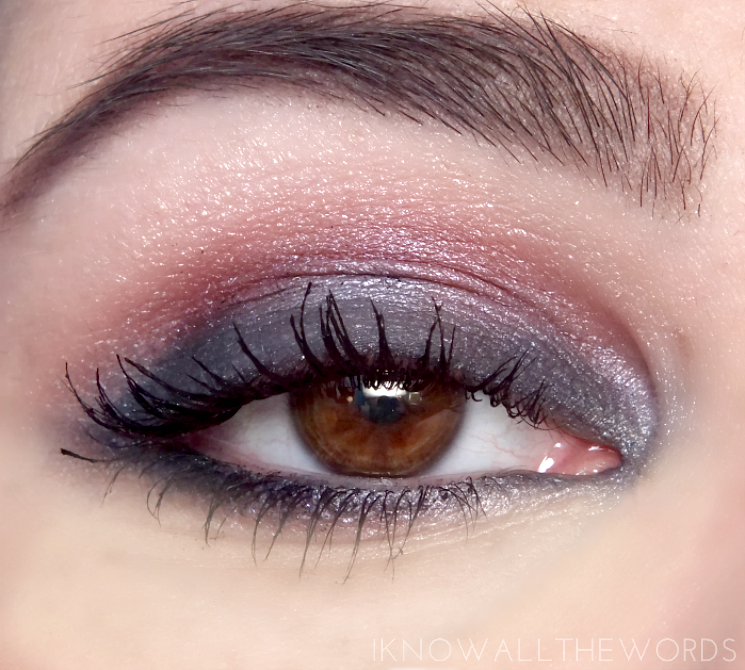 The shades are all fairly sheer, but do wear nicely. 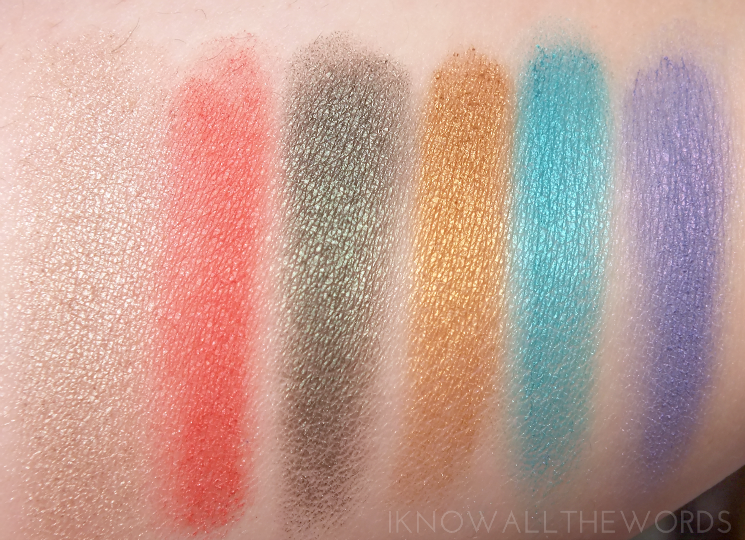 Overall, this is a pretty decent palette. All of the components are completely useable and do yield some great results. 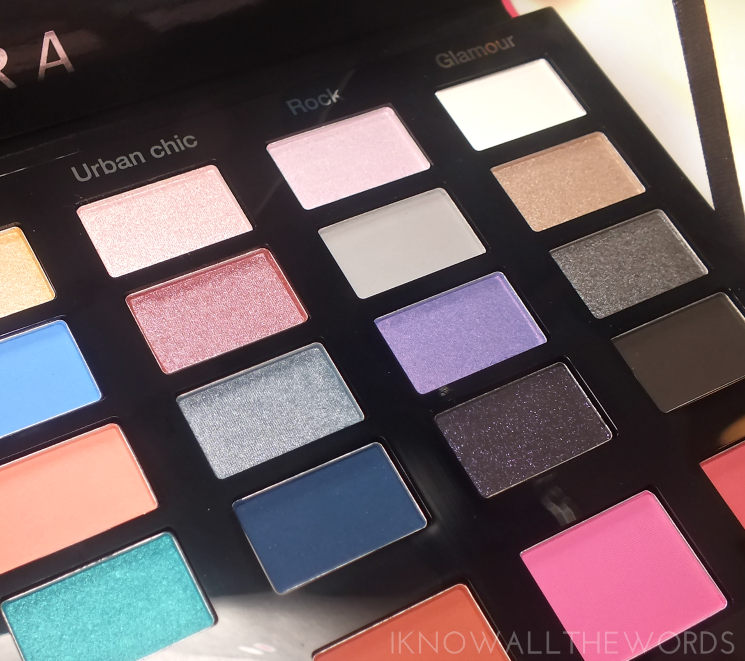 I'm pretty fond of the Urban Chic shades (as seen above) but the palette does have a nice blend of wearable neutrals and poppy colour. What do you think? 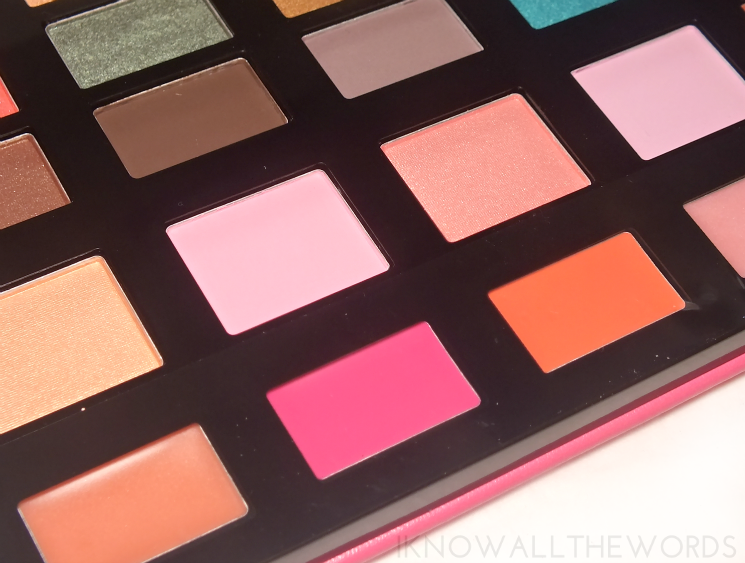 Are you a fan of all-in-one type palettes?